Medium roast with nutty, chocolatey notes. Well-rounded and medium-bodied. This is a case of 2 ounce portion packs - medium roast ground coffee. Farmer Brothers medium roast blend has a smooth, balanced taste. This coffee is well rounded and has tasting notes of nuts and chocolate. 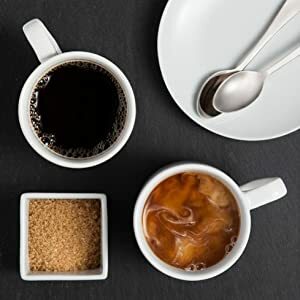 This medium roast coffee is offered in 2 ounce portion packs; which generally brew a standard 10-cup coffee pot (depending on personal preference). Farmer Brothers medium roast ground coffee is a great choice for your business. The portion packs are easy to use and convenient for restaurants, hotels, convenience stores, casinos, cafes and businesses. Just cut open, deposit the grounds into your coffee filter, and you're set! Farmer Brothers is a national coffee roaster and distributor. Our experienced Roast Masters have developed coffee roasting profiles that appeal to consumers and pair well with a variety of foods. According to a recent study by WhiteWave Foods Company, today's consumers prefer coffee that tastes rich and bold and has good color. A great way to make sure you're offering your customers coffee they will enjoy is to use the appropriate portion pack size for your coffee brewing equipment. 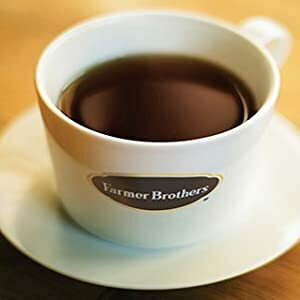 Farmer Brothers 2 ounce portion packs will brew a standard 10-cup carafe of coffee. For a richer flavor, upgrade to the 2.5 ounce or 2.75 ounce portion packs. Our Coffee Team and Roast Masters sample each shipment of green coffee beans to make sure they are quality coffee beans and meet our high standards. 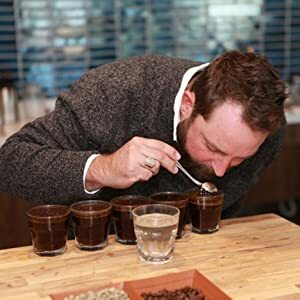 As we roast and grind our blends, the Farmer Brothers coffee team performs cuppings to compare roast levels, flavor notes, body and mouth-feel. Our coffees are roasted in SQF certified plants that maintain rigorous food safety standards. This means you can be assured your Farmer Brothers coffee meets the highest standards for quality. 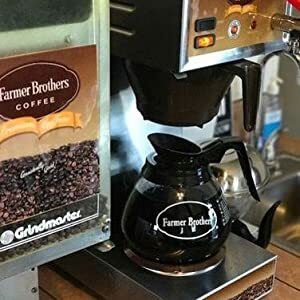 Farmer Brothers has been roasting coffee since 1912 and is a national coffee roaster, wholesaler and provider of coffee, tea and culinary products. Our product lines incorporate organic, fair trade and sustainably produced coffee beans. The Company’s portfolio features a wide range of coffees including Farmer Brothers, Panache, Artisan Collection, Metropolitan, Superior, Cain’s, Boyd's, and McGarvey. With a full line of coffee, cappuccinos, hot and iced teas, spices and baking mixes, Farmer Brothers provides beverage and culinary supplies to over 60,000 customers across the U.S.
Our Company works directly with restaurants, hotels, convenience stores, casinos, offices, quick service restaurants, healthcare facilities, and other foodservice providers, as well as private brand retailers. Millions of Americans enjoy the rich, smooth and satisfying taste of Farmer Brothers coffee all across the country. Our traditional coffees are the benchmark for great coffee, roasted and packed at the peak of freshness to deliver a complete sensory experience. From the rich aroma that says “good morning” to the balance of flavors that awaken the palate, our traditional coffees are designed to please all your guests.